Weddings don’t just bring two people together, they bring two families together. Kylie and Chris’s wedding was the first time that their extended families had all been in the same place together. 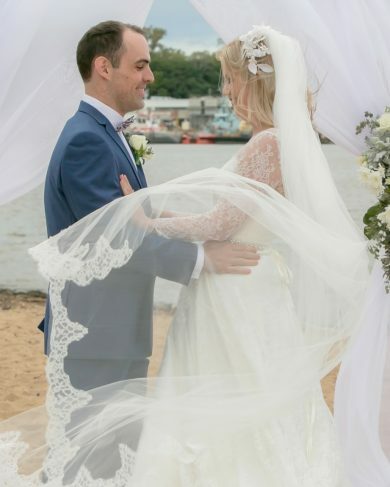 You could feel the excitement during the beach ceremony and reception! Family and friends came from near and far, showing their love and well wishes for the newlyweds. 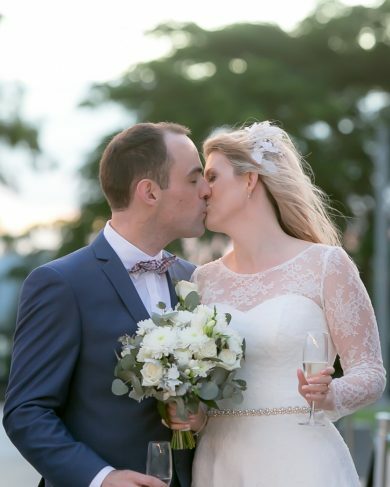 Kylie and Chris were searching for a romantic outdoor wedding venue, that had a beach area for their ceremony. Northshore Harbour possesses both the romantic atmosphere and private beach access for wedding ceremonies. The day of the wedding, every type of weather was experienced. It was certainly a four-seasons-in-a-day kind of day! During the ceremony, a double rainbow appeared behind the gathering, making the ceremony even more spectacular. The changing weather made for some amazing photos and did not get in the way of the celebrations one bit. Following the romantic beach wedding ceremony, the celebrations continued inside the cafe’. The reception venue was filled with flickering candles, greenery, and fairy lights. With the soft lighting inside and the weather outside, the atmosphere was every bit as romantic as a wedding can be. The indoor/outdoor wedding venue allowed guests to move freely around while enjoying the sunset and evening. Kylie and Chris were able to easily mingle with guests because of the relaxed cocktail style reception. The entire day was the perfect balance of romantic and relaxed. 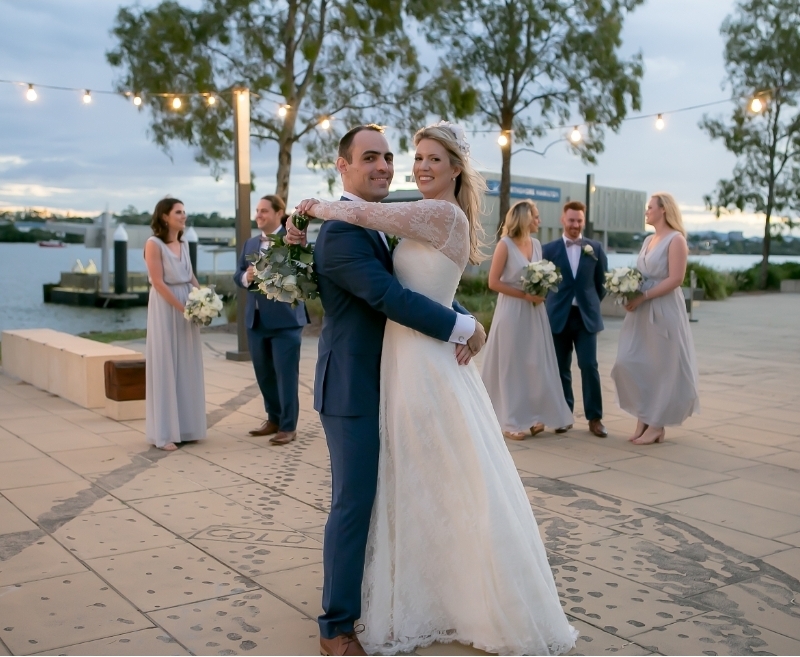 Thank you to the staff at Northshore Harbour Café, our Celebrant Krista Webb from Celebrated Moments, and our florist Natalie from Flowers Anywhere for working with my husband to rearrange the set up just before the ceremony when the wind picked up! Kylie and Chris couldn’t stay away from the beaches and spent their honeymoon in Vietnam on the beach. They buried their toes in the sand and watched the setting sun every night. The honeymoon was just as romantic and lovely as their wedding day.